Good life everyone and welcome to the recap of all the comics that were announced at San Diego Comic-Con 2015. Know that some titles like Superman: Lois and Clark, Batman/TMNT, Titans Hunt, etc. were analyzed already so, go check that out. In order to celebrate Robin’s 75th years him being with us DC Entertainment announced a sequel to Batman Eternal. This series will be 26 issues long and will be weekly! This will also be the first reappearance of Cassandra Cain since the New 52 has started. This could be a very interesting series especially that it looks like this story COULD possibly follow MORE then just one Robin on an adventure with Batman. This 5-issue limited series will start this October which will be written by Gerry Duggan and the art being handled by Phil Noto. The synospsis follows Chewbacca on his own -following the events for the Battle of Yavin- especially now that he crash lands his ship on an Imperial planet where then he struggles to help a little girl and to go back to the Rebellion. Chewbacca is one of the cutest characters in the Star Wars universe and seeing him interact with a little girl will be hilarious. He always reminded me of a Groot like character and giving him a limited series was one of the smartest decisions. 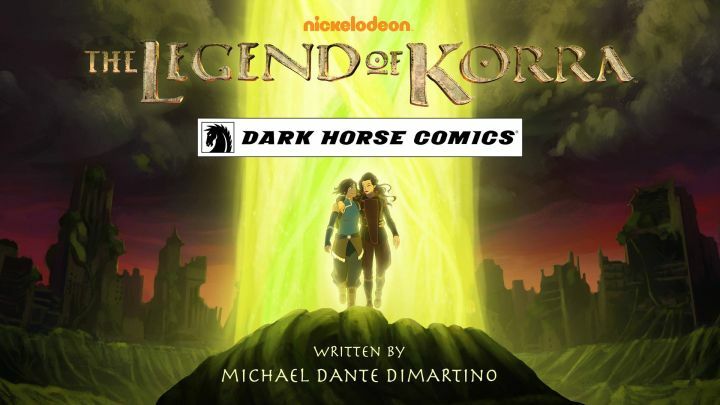 Dark Hourse comics will develop a comic book series that will further focus on Korra’s and Asami’s relationship together and all this will be written by the writer known as Michael Dante Dimartino while no release date has been announced yet. This will be fun to read especially of the fact that I was a huge fan of the series. Also Avatar: The Last Airbender just got a Eisner Award so, this is great to hear more news from the universe. This will also take time after Korra and Asami were coming back from the Spirit World. Yes, more Robin news coming for you! What did you expect? It is his 75th birthday so, you just respect that! This will be a 5 week crossover event taking time in December named the “Robin War”! The event will crossover throughout these following titles: “Robin: Son of Batman”, “Gotham Academy”, and “We Are Robin”. This was an obvious event especially that suspiciously that we had 2 Robin titles happening. No other news has been announced so I cannot opinionate myself (yes opinionate is a word, and if you say it isn’t then it is now). So, as you can see DC, Marvel, Dark Horse and IDW had a lot to announce this Comic-Con (especially DC Comics). Make sure to like, comment and share. For more comic news stick to Comic Booger. Previous Batman and Teenage Mutant Ninja Turtles CROSSOVER!!! !